Making yogurt is incredibly easy, especially once you know some of the science behind it. A bunch of different types of “friendly” bacteria chow down on the lactose sugars in milk, creating lactic acid as a byproduct. This process—which is the same whether you make your own yogurt or buy stuff that’s made in huge stainless steel vats—is called fermentation, and it also changes the structure of the milk, turning it into a gel. Here’s where we get to get geeky. You might not think of yogurt as a gel, but from a food science perspective, it is. Gels—yes, that includes Jell-O—are what a chemist would call a colloid. Colloids are combinations a gas, liquid, and solids; and in food science, they come up a lot. Liquid medium with gas bubbles? Foams. Think whipped cream. Liquid medium with other liquids mixed in (but not actually dissolved together)? Emulsions like mayonnaise and milk. And a solid object with liquid mixed in? Gels, including yogurt. How does temperature impact the ability of bacteria to reproduce? Does it change the ability of the gel to hold onto liquid? Since there’s more than one type of bacteria, do the different types breed at different rates depending upon the temperature? Does that change the texture and flavor of the end product? If the lactic acid is water soluble, and the final yogurt is a gel, does straining the yogurt to make Greek-style yogurt remove lactic acid and remove the tartness? That’s a lot of questions, and if you were to stop and think about it, you might have some of your own. Tackling these questions with a scientific method and some easy testing is a great way to learn what works. For us to do a more controlled experiment, we’re going to have to hold things a bit more constant. Let’s test how temperature impacts the flavor. This time, make two batches, measuring things out more precisely so that you know the two batches are identical except whatever it is you’re going to test. Snag two quart-sized glass milk jugs. Bring a half-gallon of milk to a scalding temperature (say, around 180°F), then fill each yogurt container with the milk. 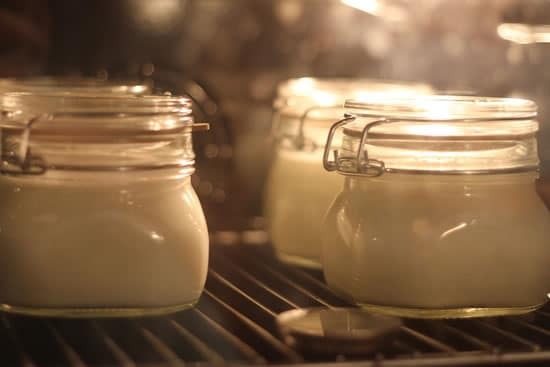 Once the milk has dropped down to 110°F, add one tablespoon of your starter yogurt to each container. (You need to wait until the milk has cooled down, otherwise you’ll kill the bacteria in the starter yogurt! Again, dead bacteria don’t multiply so well…) Wrap some plastic wrap over the top to keep things clean. You should now have two virtually identical containers. Try putting one in a warmer spot – a window sill, on top of a heating vent, in your oven (off!) with the oven light on – and the second in a slightly cooler spot. Keep tabs on the temperature of each; using a kitchen probe thermometer to measure the temperature every hour and keep notes. How do the two batches differ over time? Is one noticeably runnier than the other? Is one tangier than the other? The great thing about experimenting with yogurt is that the process is relatively easy. Once you start thinking this way in the kitchen, learning to cook becomes a whole lot easier. Any time you’re following a recipe and not sure which way to do something, do a split A/B test. Sometimes it’s easy. With things like chocolate chip cookies, split the dough in half and add walnuts to one half, pecans to the other, then see which ones your boyfriend, girlfriend, kids or lucky beta testers prefer. Other times, doing these experiments might prove to be a bit more challenging. 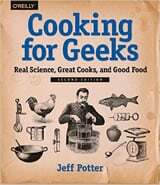 (Google “nerd sniping.”) Regardless, you’ll become a better cook, and besides, how many other fields can say that their data is as delicious? One final word of warning before turning you loose on the microbial world of yogurt: there are some precautions you should take to avoid culturing the wrong kind of bacteria. Even with a huge head-start, the friendly bacteria you’ve added might get crowded out by other types of bacteria that aren’t so benevolent. For this reason, it’s common practice to scald the milk and sterilize your yogurt-making container. Is also for this reason that yogurt should be made in a warm environment, generally above 100°F. 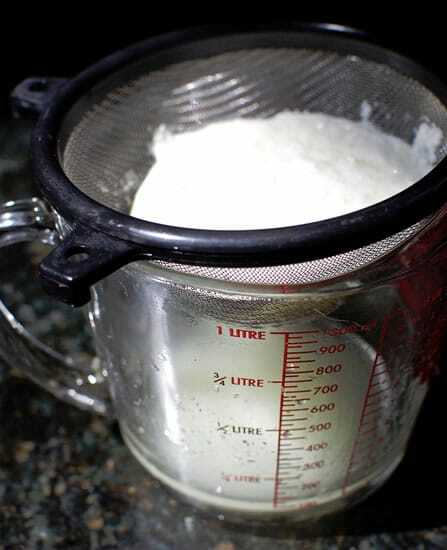 For a good write-up on yogurt making and safety, see the Making Yogurt at Home: Country Living Series. P.S. If you’re looking for something to do with all that yogurt after you’re done, try adding a bit of honey and mixing it with fruit. For a savory use, add herbs and spices-parsley, mint, or cumin-and use as a dip or condiment. And if it’s too runny, you can strain it: line a colander with a paper towel, place over a bowl, transfer the yogurt to the lined colander, and let rest in the fridge overnight. Top Photo: “Making Yoghurt” © 2010 Florian Klien, used under creative commons license. Bottom Photo: Courtesy of Cooking for Geeks. I have been waiting for this post and appreciate all the info. I could kick myself for throwing out a Salton yogurt maker from the 70’s – but think I can make yogurt with your help. Yes! Growing up making yogurt was a science experiment every week! My mother made the best – but I’m looking forward to trying your method` thanks! Have fun! And let me know how it goes. The instructions here can create a yogurt that is little bit runnier than we’re used to (the recipe errs on the side of safety), but that’s the fun of experimentation! I love making yogurt but have gotten out of the habit. I’ve made it in the oven with the oven off but the light on. Then we had a window-less oven for a while and I made it in the crockpot (off) wrapped in a towel. Thanks for the inspiration to get back to my yogurt-making ways (and the science behind it)! I recently started making yogurt and am thrilled with how easy and tasty it is. Two days ago I made quark for the first time, it came out incredibly yummy — so much so that my child ate all of it (admittedly, less than a cup). Now I’m thinking feta. Clearly yogurt is the gateway cultured milk product.